Paris after the German air attack. Particularly hard hit was the western part of the city. Allied forces pour across the Seine at four points between Paris and the sea. 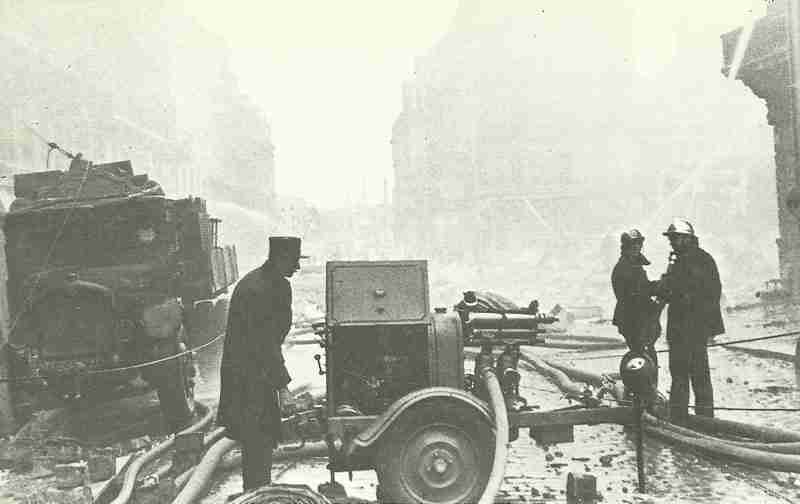 Europe: 110 killed and 719 injured during German night raids on Paris; numerous fires. Greece: Withdrawal of German forces from mainland (ends November 2). Bulgaria: Government announces its intention to withdraw from the war and begins disarming German garrisons.